This residential-style hotel is ideal for those planning an extended stay, with comfortable, well-appointed suites that can sleep up to five and include a wide range of facilities, including a fully-equipped kitchen. This establishment boasts a convenient location off Interstates 81 and 581 and just over 3 km from Roanoke Regional Airport. It is a great base from which to explore the area's attractions, such as the Mill Mountain Zoo and the Dixie Caverns. Guests can enjoy a series of outdoor activities, including horse riding, fishing, walking and swimming. The hotel is within easy reach of a choice of eateries, bars and stores. Corporate travellers can take advantage of the meeting facilities and business services, and the airport shuttle is an added advantage for all. After a busy day, guests can work out in the exercise room or sharpen up their swing on the hotel's putting green. Enjoy the smoke-free comfort of this airport hotel situated just 3.5 kilometres from Roanoke Regional Airport (Virginia) and just off Interstate 581. Transport to the airport is free of charge. There is also a variety of outdoor recreation within minutes of the establishment, including several restaurants, cocktail lounges, theatres and speciality shops. On site amenities include a fitness centre, a seasonal outdoor swimming pool, high-speed Internet access and guest laundry facilities. Guests here on business can make use of the hotel's business centre, meeting room or boardroom. 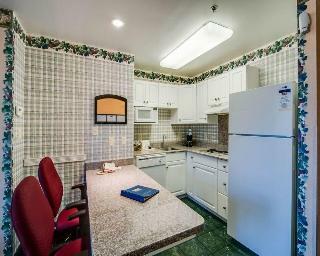 All guest rooms feature coffee makers and cable television, and some are equipped with microwaves and refrigerators. Make a perfect start to the day with the free hot breakfast offered by the hotel. Pets are welcome, maximum of 2 per room (see fees). Local telephone calls are free of charge. The state of Virginia has been inhabited and visited by nature lovers for thousands of years, and was chosen by British colonizers in the 1700s for its vast supply of natural resources and access to ports and waterways. Many of the towns dotted along the Blue Ridge Mountains served as major hubs for colonizers, including the grand city of Roanoke just west of the mountains in southwestern Virginia near the West Virginia border. The Best Western Plus Inn at Valley View is situated just off Central Virginia's Interstate 581 in this serene setting, offering guests southern hospitality, unbeatable amenities, and an ideal location - just one mile from the airport. Step inside our property to take in the cozy, charming ambiance and youâ? ?ll find a large, indoor saltwater pool with a pretty, outdoor deck for soaking up some sun. Each of our rooms features vintage styling paired with cozy details like grand window treatments, leather easy chairs, and ottomans, plus modern conveniences like HBO, microwaves, refrigerators, and large vanities. Start your morning right with a visit to our inviting fitness center, and then indulge in deluxe complimentary breakfast featuring Belgian waffles, donuts, fruit, and eggs. Business travelers will appreciate our handy business center, on-site conference room, and grab-and-go breakfast, while road trippers can take advantage of our Motorcycle Rider-Friendly amenities. Whether youâ? ?re just passing through or staying a while, youâ? ?ll love being within walking distance to dozens of restaurants, including fast casual dining at the Valley View Mall, plus fine seafood and steak restaurants. 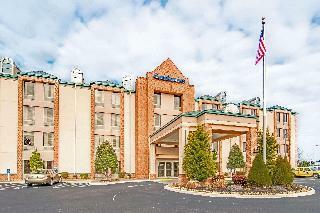 This Roanoke hotel is conveniently located just off Interstate 581, only 3 km from Roanoke Regional Airport and Valley View Mall, one of Virginia's largest shopping centres. Jefferson community centre and several historic landmarks are also not far from the establishment. At the property guests can enjoy delicious meals served in the on-site restaurant, which also features pool tables, pinball machines and dart boards. Additional amenities include a 24-hour airport transportation and complimentary wireless high-speed Internet access. Meeting and banquet facilities are available to accommodate most business and personal functions and events.